The Christmas story is very familiar to us. We are very familiar with the manger scene and the characters of Christmas. Mary and Joseph, the shepherds and the wise men, and of course, the baby Jesus. And it all fits inside a $2 snow globe. Inside is Mary and Joseph, Jesus in a manger, and snow! We can reduce Christmas to something we can hold in the palm of our hand. And that’s okay. Because the story is simple. A baby, God’s Son, came to show us how much God loves us. And a snow globe is a simple way to teach children about the birth of Jesus. So, in a way, it’s good that we can hold the Christmas story in the palm of our hand. But what if we could zoom out like Google Earth? What if we could take an angel’s view of Christmas? Angels were everywhere in the Christmas story. But as angels swirled above the manger, demons lurked in the shadows. Satan and his demons were there too. 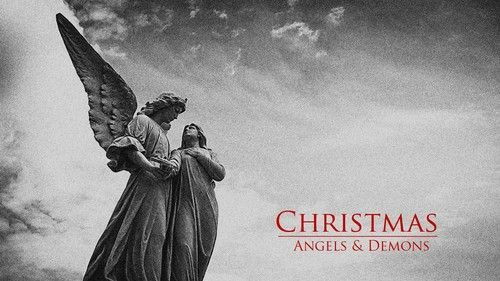 Long before that night in Bethlehem, a cosmic battle has been raging in the heavens, a battle between angels and demons, between God’s plan and Satan’s schemes. The battle is futile for Satan to fight, because it is a battle controlled by the sovereign hand of God. Yet, he still fights. Satan always the Lord’s foe, and always looking to steal God’s glory, to thwart God’s plan, and to destroy God’s people. Christmas is a beautiful story. But overhead a battle rages for the heart of people we know and love; a family member, a neighbor, a co-worker, a friend. Christmas is a beautiful story, not because of the birth of a baby, but because that baby came to be the Savior of the world.